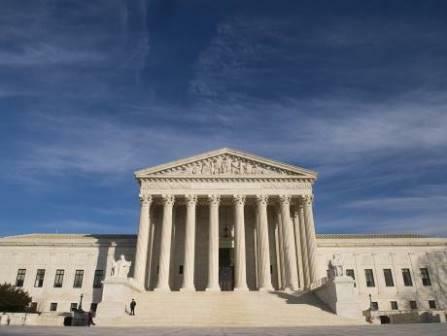 Washington: The US Supreme Court ruled Tuesday that immigrants can be detained indefinitely without bond hearings, in a setback for immigrant rights. The five-to-three decision was carried by the court’s conservative justices, who said immigrants detained in the United States had no right to periodic bond hearings. It reversed a ruling by the San Francisco 9th Circuit Court of Appeals, which had set a six-month limit for detention without a bond hearing as long as the person did not pose a flight risk or a danger to national security. Writing for the majority, Justice Samuel Alito argued that the appeals court had overstepped its authority by re-writing rather than interpreting the law. “All parties appear to agree that the text of these provisions, when read most naturally, does not give detained aliens the right to periodic bond hearings during the course of their detention,” he wrote. We need merely remember that the Constitution’s Due Process Clause protects each person’s liberty from arbitrary deprivation,” he wrote. Justice Elena Kagan recused herself from the decision. The case involved a Mexican immigrant, Alejandro Rodriguez, who had legal US residence and worked as a dental assistant. He was convicted of a drug offence and theft of a vehicle in 2004, prompting an immigration judge’s order for his deportation to Mexico, which Rodriguez appealed. He spent three years in detention while appealing his case, arguing that the relevant laws do not authorize prolonged detention unless the government proves it is justified. Otherwise, it would violate due process. n the end, Rodriguez won his case against deportation. “We look forward to going back to the lower courts to show that these statutes, now interpreted by the Supreme Court to require detention without any hearing, violate the Due Process Clause,” Ahilan Arulanantham, a lawyer for the American Civil Liberties Union who argued the case, said after the ruling.